Tis the season when families gather together to celebrate and to give thanks. From Thanksgiving to the 1st of the New Year there are celebrations no matter what your faith. And families are often together for those celebrations. While some families see each other often others may only connect during the holiday season. Whether you are together often or only a few times a year there are important conversations that need to happen. Unfortunately, in our society, some of these topics may be considered taboo. If you have aging parents and you have not had these conversations with them now may be the time. While I do not suggest doing this at the holiday dinner table or celebration it is important to schedule a time to talk. Here Are 5 Conversations That Are a Must-Have. Where are their accounts located? Do they have Life or Long-Term Care Insurance? Do they have enough to pay their bills right now? What if they live another ten or twenty years? Do they have a will? Do you know where the will is, and the name of the estate planning attorney who created it? Do they have powers of attorney for finances in place? Who is their primary Care doctor? Are there any specialists? What type of Medicare Plan are they on? (Medicare advantage or Original Medicare with a supplement?) You should know where their paperwork is located. Do they take medications? For what conditions? You may suggest that they post a list on their current medications on the refrigerator. This will allow for easy access by you or an emergency medical professional who is called in an emergency. Have they properly documented a power of attorney for healthcare? What plans do they have if they are no longer able to care for themselves? Would they be open to going to an assisted living facility or a nursing home? Do they know the costs associated with care at home? Do they know how much they will pay for care elsewhere? And finally, will their funds support long-term care? If they really want to stay in their home a home assessment is in order. Making the home a safe environment for someone who may have physical limitations can keep them in that home much longer. Falls are the #1 reason that seniors end up in the hospital. Though all falls cannot be avoided, making a few changes at home may eliminate some falls. What if someone is no longer able to drive? What options are available? Nowadays, there are so many options available. Not being able to drive yourself is not as big of a problem as it once was. A lot of seniors do not want to be dependent on their adult children for transportation. With Uber and Lyfte this is not a problem. But chances are your aging parent does not know how these programs work. GoGo Grandparent makes it easy! When seniors have options that keep them in control, they are more likely to hang up the car keys. This is often the hardest talk to have. But there really is no time like the present. Do they have a medical directive or a living will? How do they feel about extreme measures being taken to sustain life if they are incapacitated? Also, ask if they have pre-planned their funeral. You will need to know where these papers are kept. Are they planning cremation or traditional burial? Ask what is important to them about their funeral? This is a much lighter and brighter conversation to have. What do they want the family to remember about them? Are there family recipes, photo books, treasured heirlooms, videos or jewelry they want to pass along? Are there stories they want to share? Estate planning attorneys, like the Hilbun Law Firm, work with families and aging issues on a regular basis. Attending a workshop together is a great way to start getting the conversation going. Then schedule a consultation, your attorney can help you and your parents make decisions. They’ll know about issues you may not even be aware of. Attend a Free Estate Planning workshop at the Hilbun Law Firm and get this conversation started! Mom left a nice nest egg- What to do with your inheritance? If you are one of the lucky ones, there was still money left over when your parents were gone. For many, it was a struggle just to make sure you had enough to take care of their needs while they were alive. But if you have inherited a nice sum, lucky you. Here is what you need to know so you don’t blow it. There is no rush. The money isn’t going anywhere. You do not have to decide overnight what to do. Most importantly do not make any large purchases. Chances are you are still grieving. This is not a time to be making big decisions. That car or trip to Tahiti will still be there in a few months or even a year. We may justify that Mom would want us to have these things or that we deserve them because of all we have been through. This is simply grief talking. “They sounded genuine and acted like they really wanted to help me. Of how I wished John were here to help me make such a big decision!” Jerry wailed. Luckily Jerry listened to her intuition. She backed off when someone pushed. She did her research independent of what the franchisor was telling her. After all, his job was to sell her a franchise. Keep living the way you have been living until you get everything figured out. You have your family and your future to consider. Get with a good estate planning attorney to discuss what legal needs you may have. Most estate planning attorneys can help you decide the next steps to take. Find an attorney who is local to your area and one that has a good reputation. An attorney like this is usually connected with good financial planners that they trust. This will ensure that you are in good hands. Because these people are well connected in the community they will have your best interest at hand. After all their reputation depends on it. How do I find a good Elder Law Attorney? It’s easy. Check with your local Chamber of Commerce to see who is listed. Ask your friends. Then go on line. Ask your friends on FB for recommendations. Chances are the same name will keep showing up. Google the name of the firm or attorney to see what else you can find out. You will notice the same names popping up over and over. 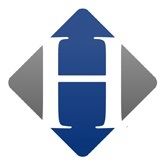 The Hilbun Law Firm offers weekly workshops to help you learn more. Take the time to get all of the facts. That way you and your family will be protected. Visit the calendar to see when the next workshop will be held. For many families, August is that month when your children leave home to go off to college. This is usually the first time they have ventured out on their own. The process is exciting, scary and exhilarating at the same time. These feelings are true for both the child and the parent. Maria had a difficult time sending her twins off to college. Her life had been so wrapped up in their lives and the activities her daughters participated in. Maria also admits to worrying constantly about her daughters. What are they doing? Have they made friends? Are they doing well in school? The thoughts are constantly swirling in her head. Maria was stressed and began having periods of anxiety. Then, of course, there is the financial piece. Though her husband John makes a good salary college is quite expensive. “And it’s all of the extras that we didn’t count on,” Maria said. “I want the girls to have a really good college experience. But it seems like there is always some unexpected expense. John is feeling the pressure also. When I ask for extra money for something he blows his top. I have been a stay at home Mom since having the girls but I never felt like I had to ask before.” It wasn’t surprising that those periods of anxiety kept growing. A friend suggested she find a coach. Someone who specialized in working with women experiencing empty nest syndrome. She found one online and began Skyping once a week. After working with her coach Maria decided what she needed to do to resolve some of the issues she was experiencing. Though she was stepping out of her comfort zone, Maria decided to find a part time job. After talking it over with John they both felt this would be a smart move. She got a job at a dress shop where she often bought her clothes. By having something to fill her empty days Maria discovered that she wasn’t worrying quite as much. She also met other women whose lives didn’t revolve around their kids’ activities. Her co-workers were supportive of her transition and she began to really look forward to her work days. The money wasn’t huge but she got a huge discount on her own wardrobe. And the extra money allowed her to help the girls with the little extras that sometimes a Dad may not understand. She was also able to pay for her coaching sessions with Carol. John had been skeptical about her spending money on coaching services in the beginning. She started feeling more relaxed. And Maria starting noticing that John was becoming more relaxed also. Next, her coach suggested was that the couple start having date nights and taking weekend trips somewhere they wanted to go. It was time to focus on their relationship now. This would help to start cutting those cords with her girls. John and Maria also decided that after the first year of college the girls would also be expected to have a part time job and to pay for some of those extras. Get your financial and legal house in order. Carol suggested that Maria and John visit with The Hilbun Law Firm. It is important to have all of the necessary documents in order. Doing so will alleviate a lot of unnecessary worries. Maria and John were shocked to discover that they were not the only ones who needed the have certain documents. Having a Power of attorney was important for her daughters. Because they are both now over 18 having a POA just made sense. The temperatures in Texas and across much of our nations are soaring to record highs. In Houston, the humidity is quite high also. This can cause already high temps to feel even higher. It is important for everyone to be cautious spending time in the heat. But our elderly seniors and disabled are at an even higher risk. Heat stroke and heat exhaustion are a real problem for elderly seniors. In fact, in a study by the University of Chicago Medical Center it was discovered that 40% of heat related fatalities were in people over the age of 65. There are a number of reasons why seniors are more susceptible to heat stroke and heat exhaustion. Aging adults are less likely to notice changes in body temperature. Seniors often do not “feel” thirsty. As such may not get the recommended amount of fluid their body needs. Underlying health conditions may make a senior less able to adapt to the heat. A lot of medications can cause dehydration. Over dressing- Wear light colored and loose clothing during the hotter months. In adequate air conditioning in the home. High humidity, like we have in Houston can cause a lot of heat related illness. When the heat index is high encourage seniors to stay indoors. Offer to pick up groceries and medications so they do not have to get out. Just walking a few steps from the car to the grocery store may not seem like much. But consider the fact that an elderly person will move much slower, increasing their time in the heat. Encourage the intake of lots of fruits and vegetables along with plenty of fluids. Sometimes getting a senior to drink can be a challenge. Adding more fruits and vegetables into the diet can help to replenish fluids. Stop by and make afternoon smoothies or Mocktails. This will help to get those needed fluid levels up. A lot of our seniors are on a fixed income. As such they may turn the thermostat down to save on electricity. Even worse they could try to do without if the AC stops working. 95-year-old Julius Hatley, called the Fort Worth Police department last month. His Ac was out and he needed help. Considered a low priority call, the officers responded after a few other calls. When they arrived, they found the elderly man in a home that was already 85 to 90 degrees. Both his central and his window unit were not functioning. This may not have been in their job description but officers Margolis and Weir could not shake the image of a 95-year-old man suffering in this kind of heat. They went to Home Depot To buy an air conditioner out of their own pockets. When the Home Depot employees found out what they were doing they took up a collection and raised $150 to help pay for a new window unit. Others are working to replace his windows and make sure he has groceries each week. Pay attention to seniors in your community. Is there someone in your neighborhood who could use some help? Check in regularly on your older neighbors. The elderly are often proud and do not want to be a “burden” to anyone. As such they may not ask for help or even complain about their situation. Social media is a great way to find others who can help if you find an elderly person needing assistance. Post a need and you will be amazed at how many people will respond. Are You Ready For Hurricane Season 2017? I know you would rather not think about this. But the reality is we have not had a major hurricane sine Hurricane Ike. That was in 2008. 9 years ago. Law of probability says we are getting close to being due for another to hit our area. Are You prepared? More importantly are the seniors you know prepared? There are a lot of ways that you can start preparing now. Your aging parents and other seniors you know may need your help with this. Don’t wait until the day or two before a hurricane is due to hit your area. It will be chaos! Stores will run out of supplies and tempers will flare. Here is a list of supplies you will need. Get List Here. Decide if you will stay or leave- Remember Hurricane Rita? While most people remember Hurricane Katrina that devastated New Orleans and the Gulf coast, Rita led to the worst gridlock in Houston history. As thousands of terrified people fled their homes the roads quickly became jammed with traffic. More than a hundred people were killed trying to get out of the city. Stuck in a dead gridlock cars and people began to overheat. Heat stroke attributed to most of the deaths. A bus, evacuating people from a nursing home caught fire killing 24 people. In 2008 Hurricane Ike was headed our way and a strong warning was delivered. Harris County Judge Ed Emmett, the county’s chief administrator urged Houstonians to “hunker down.” It other words, ride the storm out where you are. Find a safe place in your home and stay put. Remember Rita, we were told. Of course, if you live in an area that has mandatory evacuation you should head that warning. But for everyone else stay put. That way those who need to evacuate will be able to do so and we will not repeat the tragedy of Hurricane Rita. What about your aging parent? Where will they ride out the storm? Talk to the Executive Director or Administrator of your parents nursing home, assisted living, memory care facility and even the Independent Living Community they live in. Do they have a plan? What is expected? Don’t wait until a hurricane is in the gulf and headed toward Houston to have this conversation. Plan ahead. You may be surprised to learn that Mom’s facility expects you to evacuate her. Knowing that well in advance will help you put a plan together. This way you will not be trying to figure out what to do with Mom in the middle of a crisis. If the plan is for mom to stay in her facility there are a few questions you will want to ask. How many staff members will be working? Will there be a nurse on site in case of medical emergency? Is there enough food? For how many people? How many days? Will there be adequate water available? Will the generator cover the whole building or just certain areas? What will you do if the building starts to flood? How will disabled residents be cared for? Where will they stay in a multi-story building. When will adequate medications be ordered to cover the time of emergency? Do you allow families to stay at the facility with their loved ones? If so what will be expected? How about the families of staff members? Will the staff’s families be allowed to stay at the facility? (If not, what is to prevent staff from leaving to take care of their own family?) If so will there be enough food for everyone? Does Mom live home alone? Who will secure Mom’s home while she is gone? You may need sandbags or boards to cover windows. Lawn furniture and equipment will need to be secured away. Does mom have a home caregiver? You may consider checking to see if you can hire this caregiver to stay with mom wherever she is going. If mom needs a lot of extra assistance having someone to look out for her will be helpful. A caregiver who already knows her habits and routines can be invaluable. They may not be able to help you. You need to know this well in advance. If you are working with an agency talk to the owner. See what solutions they may be able to offer you. Have you updated your will lately? Do you have all of the necessary paperwork in place if something happens? Attend one of our workshops to discover how to protect you and your loved ones. There is no charge or obligation. Find a workshop here. Mother’s Day has been celebrated in the United States since 1908 since Ana Jarvis held a memorial for her mother in West Virginia. Though it took until 1911 for all states to officially recognize Mother’s Day, today it is celebrated throughout the country. In 1914, Woodrow Wilson signed a proclamation designating Mother’s Day, held on the second Sunday in May, as a national holiday to honor mothers. Jarvis did not like the commercialism that came with this special day. In the early 1920’s Hallmark Cards cashed in on this special day. They urged everyone to give mom a card to show how much you truly care. Next came carnations, candy, and other gifts. Is that what mom really wants? Don’t get me wrong. these are all nice gifts and mom will probably enjoy them. What she will really enjoy is knowing that you took the time to remember her. And if you ask any Mom today what they most want for Mother’s Day the answer may surprise some. Most Moms, especially aging moms, will tell you they want time. Time with their children and grandchildren is the most requested gift. Time is the commodity they are running out of. It is what they treasure most of all. Skip the flowers and candy they will tell you. Give me time. I know, it’s easier to get a card and flowers or maybe a box of candy. You’re busy. I get it. But just like anything else in your life that is important to you, you have to make time. You will not regret it. Just ask your friends who no longer have their Mom. Here are some ideas of ways that you can spend quality time with mom. And yes, when you try you will find it’s not that hard to fit into your schedule. Daughters might give mom a certificate for a monthly Mani/Pedi and lunch. Let’s face it you need some down time and mom needs you. It’s really a win/win. Think of the memories you will be creating. Have a teenage daughter, bring her along. Okay, what about a son? A Son could give mom a certificate for a half day of honey do’s each month. Mom needs help around the house. You know she is going to call you to do things anyway. Why not make it easy for both of you? If Mom knows that you will be at her house the first Saturday of every month to help out she won’t have to keep calling and asking for your help. She can just have a list ready when you arrive. After the list is done go out for lunch or a coffee somewhere to just catch up. Hire a home care company or a yard man to help mom with a lot of the chores you may be taking care of for her. Things like shopping, cooking, yard work, transportation can really drain your energy. If you are taking care of these things for mom now, you need help. This will free up some of your time so you can spend time doing something fun each month with Mom. Now that’s a gift she will love. You could schedule a date to take her shopping to a movie, the theater or out to dinner. Now that you aren’t so stressed trying to do everything for two households you will be able to enjoy mom. Now that’s quality time. Help Mom to get her affairs in order. Mom may need some help with financial and legal planning. Take Mom to an Estate Planning Workshop at Hilbun Law Firm. There is no cost or obligation. By coming to the workshop together you will both know what documents may be needed. You may realize that you need to do a bit of planning also. Knowing that you and mom now have a plan for the future will take a lot of stress off your shoulders. Mom will sleep better and so will you! These are just a few ideas of how you can honor mom this Mother’s Day. Get creative. See what other ideas you can think of.